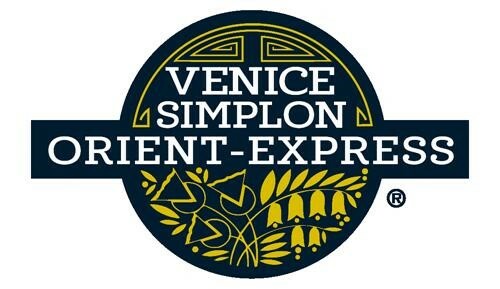 A journey on the elegant Venice Simplon-Orient Express train should be on every discerning traveller's wish list - there is simply no better way to celebrate a special birthday or anniversary in style. From the moment you board, you take a step back in time to the bygone, golden-age of rail travel when a journey was about relishing the experience rather than getting from A to B as quickly as possible. 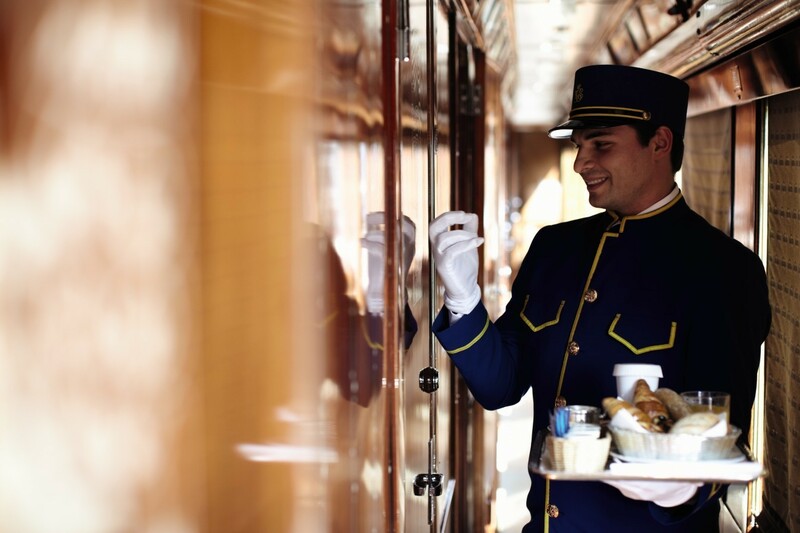 Guests can still rely on the highest levels of personal service, with outstanding cusine served in a stylish dining car, combined with a private sleeper cabin and civilised bar carriage where you can meet other like-minded travellers. Throughout the journey you will be attended to by your cabin steward and enjoy delicious food prepared by expert-chefs - all meals on board are included at no extra cost. The services of the Kirker Concierge to book concerts & opera tickets. Step aboard the historic carriages of the Venice Simplon-Orient-Express and uncover a hidden jewel, glittering and timeless. An uncontested icon of the rails, this train has long captured the hearts and imaginations of glamorous guests. Three elegant dining carriages exude culinary sophistication, from Lalique glass inlays in Cote d’Azur to black lacquer panels in L’Oriental. The Bar Car glows with a champagne sparkle while the resident pianist fills the air with sweet melodies. A steward in blue and gold livery waves with a white-gloved hand, welcoming you on board with a knowing smile. Settle in to your cabin, adorned with art-deco details and French-polished cherry wood, and sit back as a grand voyage begins. The original 1920s and 1930s carriages formed part of the express trains which traversed Europe in the early 20th century ‘golden age’ of rail travel. Each has been lovingly restored by expert craftsmen, with gleaming livery and immaculate marquetry. The sleeping cars consist of comfortable banquette seating, with a window table and private washbasin concealed behind elegant oak doors. Whilst you are dining, your steward will transform the cabin into comfortable upper and lower berths with crisp damask sheets and fine blankets. Each carriage has its own dedicated steward, available 24 hours a day, and there is a mosaic-tiled lavatory at the end of the car. For additional comfort and extra space, we highly recommend reserving a Cabin Suite, which is formed of two interconnecting cabins. This offers additional space during the day, and can be converted to two lower berths at night. Alternatively, three extravagant new Grand Suites were added to the train in 2018, each of which is named after a key destination on the route – Paris, Venice and Istanbul. The Grand Suites offer spacious accommodation with a double bed, living area and private en suite bathroom with shower, and passengers can enjoy meals in the privacy of their suites or in the main restaurant cars. Grand Suites sell out fast on peak dates so it is crucial to book well in advance – and supplements, which reflect the grandeur of the suites, are available on request. One of the highlights of your journey is the delicious cuisine – all meals are included in the price (although drinks are extra). Chef Christian Bodiguel and his expert team take fresh ingredients on board throughout the journey and create varied menus which belie their compact kitchen. Breakfast is served in your cabin at the time of your choice, and includes fresh patisserie and fruits. Côte d’Azur: Built in 1929 and decorated with Lalique glass panels. Etoile du Nord: Built in England with a lining of intricate marquetry. 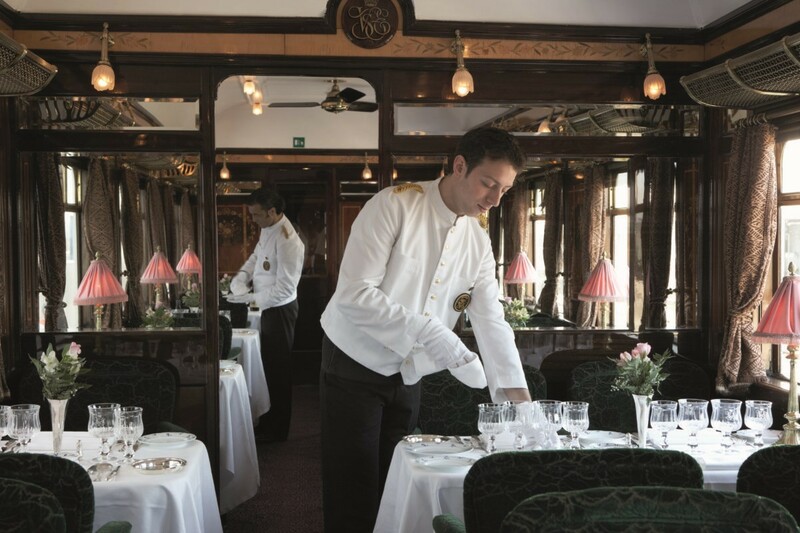 L’Oriental: Originally a Pullman kitchen car, decorated with black lacquer panels. After dinner, you may enjoy a cocktail in the stylish piano bar – or perhaps a glass of champagne in the Art Deco champagne bar. There are many hotels to choose from for your stay in Venice. Below are just three that Kirker feature. Whilst you are in Venice the Kirker Concierge can arrange for concert or opera tickets, arrange a private walking tour or reserve a table for a delicious dinner. This intimate and friendly hotel is located in a quiet, residential area of Venice, 200 metres from the train station and 20 minutes from Rialto. If you have been to Venice before and are looking to explore a different part of the city, or perhaps you are only visiting by train for a couple of nights, this is a good option. It’s also a great place to relax in the warmer months because of the beautiful rose garden that borders the Grand Canal. A boutique hotel with a unique style which combines original 18th century elements such as mother-of-pearl inlays, marble friezes and fine glass work with modern design and oriental antiques, there are just 22 bedrooms – the junior suite with Grand Canal view is particularly recommended. Ideally located between St. Mark’s Square and the Rialto Bridge, the Splendid’s contemporary design offers clients an alternative to the traditional Venetian decoration found at other hotels in the city. Although large (165 bedrooms) the personal service and cosy public areas give it the feel of a much smaller boutique property. All rooms have extremely comfortable beds and luxurious bathrooms; many overlook a small side canal. The restaurant ‘Le Maschere’ is highly regarded and offers a modern take on traditional Venetian recipes at reasonable prices. A wonderful roof terrace has recently been added and is the perfect spot for a pre-dinner drink. Ideally located a stone’s throw from the entrance to the Grand Canal and Piazza San Marco, The Luna is the city’s most historic and oldest hotel. Formerly a convent, a private palace and a shelter for the Knights Templar, the palazzo dates from the 12th century. Although recently completely renovated, many original features remain including ornate stucco walls and frescoed ceilings attributed to pupils of Tiepolo. There are 118 sumptuous bedrooms and a wonderful gastronomic restaurant.